Theresa Franks and her company, Fine Art Registry, are being sued again. 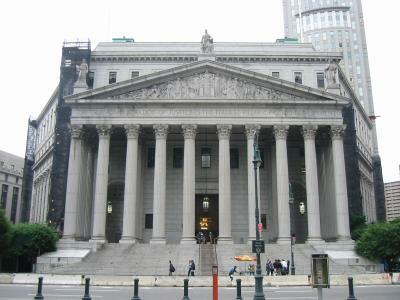 According to New York Supreme Court documents filed on March, 7, 2012, plaintiff Park West Galleries is seeking damages sustained as a result of Franks' "cyber-smear" campaign aimed at the famed gallery's reputation and their artwork. The suit alleges FAR, "over the course of several years have embarked on a sustained, malicious and outrageous cyber-smear campaign against Park West, its artwork, artists, executives, auctioneers and general business practices all in a calculated and intentional effort to interfere with Park West's present and potential business relationships with clients and customers." The suit also names "John Does 1-10" as defendants and refers to them as "fictitious individuals and businesses." Franks has published hundreds of pages worth of information on Park West, namely on the subject of the company's sale of Salvador Dali works, which were authenticated by expert Bernard Ewell. The suit alleges Franks' "outrageous" content suggests Park West is guilty of deception and likens their practices to "torture" and "waterboarding". Some of the articles question Ewell's expertise regarding Dali authentication. On the same website, Franks boasts connections to Ewell's rival Dali expert, Robert Descharnes. Several YouTube videos published by Franks offer an "endorsement" of Robert Descharnes as the world's "foremost" Dali expert. In a 2011 interview, Ewell suggested the 86-year old Descharnes has been financing Franks' cyber-smear campaign against himself and Park West in an effort to "destroy" the company and Ewell's reputation, and in doing so, securing a monopoly on the Dali market for his son, Robert Descharnes. In 2008 Franks set up an entity, Fine Art Advocacy Foundation, a tax-exempt organization which according to public records, receives a substantial part of its support from the general public, and actively seeks charitable donations via the website, fineartadvocacyfoundation.org. In an email, Nicolas Descharnes denied he financed Franks or Fine Art Registry but said he was brought in by her to "provide my expertise on Dali artworks." His father, Robert Descharnes, did not comment. The cyber-smear lawsuit comes amid a flurry of legal woes for Theresa Franks, who stated in a 2011 interview that she's spent $2-Million in litigation costs. The same year, Franks defaulted on a $680,000 bank loan according to public records. And in December, the beleaguered Franks was accused of "misleading and fraudulent conduct" in a U.S. federal lawsuit involving New Yorker journalist David Grann. The suit alleges Franks supplied Grann with libelous and false information. Recently, much of Franks' site, fineartregistry.com, was down for "maintenance", leaving subscribers unable to access personal data entrusted with the site. The site requested customers to re-upload images of their artwork. The 800 number has been changed to a toll number, leaving customers—many of whom are working artists, to foot the tab. Another site ran by Franks, registermyantiques.com, has been down since February 15. The on-line customer support chat feature reads, "not available". Instead, it refers you to FAR's generic blogspot.com page and a g-mail account for assistance. The prospects of listing valuables on a site that's been down for a month spells trouble for some collectors. "Putting my collection into the hands of someone who cannot properly run a website, maintain integrity, or render services is curatorial suicide," says a private collector from Naples, Florida. "No thanks!" Franks is no stranger to lawsuits, especially involving Park West Gallery, whose executives have launched at least four civil suits against her in the past. All were dismissed. But Park West has shown determination in stopping Franks, or at least curbing her voracious appetite for "destruction"— and along with the Descharnes', "control" of the Dali market.